Hardwood is a natural product - variations in knots, colour and grain should be expected. 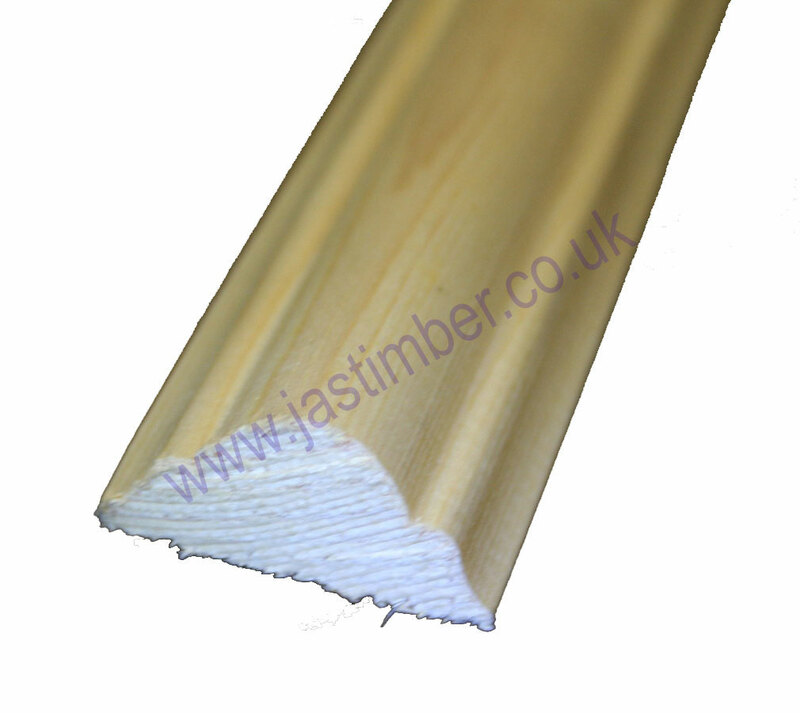 As well as the JAS Range of Period Mouldings - which include Dado Rails,­ Cornices and Picture Rails, we also stock or can obtain Mouldings and Beadings from Cheshire Mouldings, Richard Burbidge, Timbmet and International Timber. Be aware: For a multitude of reasons, size and profile of Timber Double Astragal may vary from batch to batch, so it is best to purchase all you need for a job in one go, rather than buying more at a later date. - If it is important, then you need to check these details, sizes and profiles before commencing work. - We cannot be held responsible for any variations in machined timber sizes or pattern. Haulier Delivery by pallet can be arranged for larger quantities of Light Hardwood Double Astragal Timber Moulding. E. & O.E. see T&C - We do try to keep prices and specifi­cations of FB013 Double Astragal correct, but mistakes can be made!